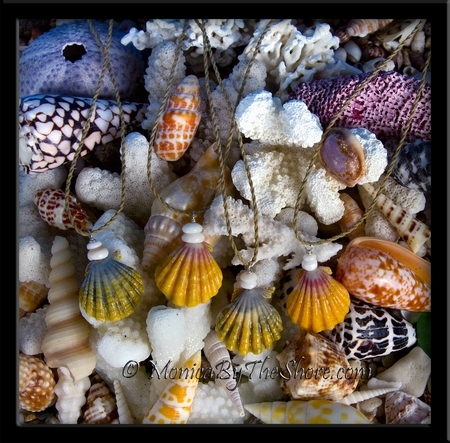 Nothing says North Shore more than Sunrise Shells and Puka Shells! 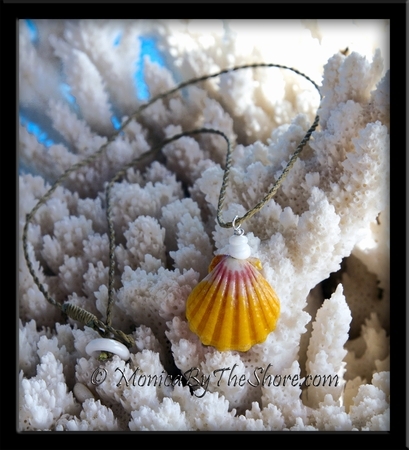 This bold colored pink and gold Hawaiian Sunrise Shell has a stack of two North Shore Puka Shells on top of the Sunrise Shell pendant, which drapes on a natural colored twisted waxed cord 17 inch necklace, with Puka Shell and loop closure. Sized at slightly larger than 1 full inch, the shell is about the size of a quarter coin. Not too big, not too small, just the perfect size for anyone!